Plug power up to the press and power on the PIDs. I'd suggest 220F as your starting point and go down from there. When you're ready to press, cut 2 pieces of parchment sheets that will fit inside the press with a length of at least 12", fold these in half. Take a single nug, put it inbetween the pre-folded parchment sheets and position in the center of the plates. Raise the plate using the jack handle and slowly start to squish the bud (this may take several pumps) until you feel the pressure tighten, when the pressure is tightened, start your timer. Have it set for 2 mins. Once the timer hits 2 mins, release the pressure on the jack with the pressure relief valve (1/2 revolution is fine) using the end of the jack handle, be sure to be ready to grab the parchment as it may want to slide out while the plates are opening! Remove the puck from the paper with tweezers, then place the parchment directly on the cold plate to stop the heating right after pressing. Let it sit there for a couple mins, flip it on the other side to get even cold distribution. Now you can remove it from the cold plate and see if you can begin to collect it with your dab collection tools. Hopefully it's not shattery and flying around! If youre curious, some things to do would be to weigh the nug prior to pressing, weigh the puck post pressing, and weigh the rosin. 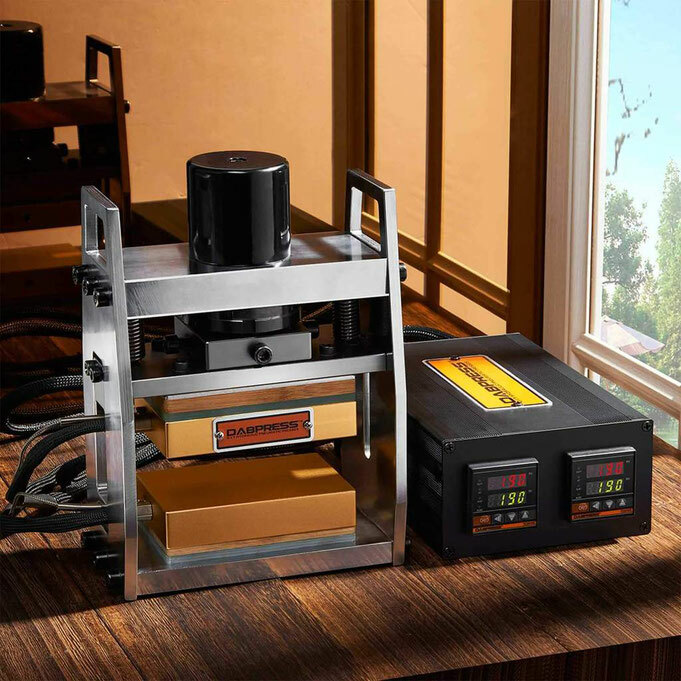 You can then try lowering your temperatures, increasing or decreasing press times, increase or decrease pressure, or trying pre-presses and filters, then compare the results.